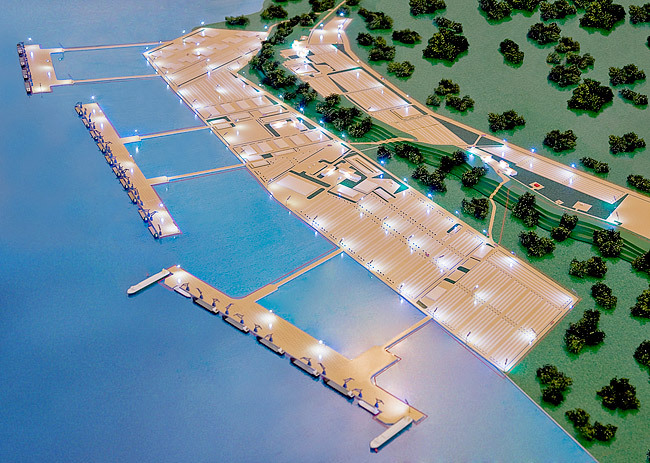 AVRORA sea terminal is designed to receive cars, wheeled and general cargo (including forest industry machinery) from ships, provide temporary storage and delivery of said cargoes to the owner. When exported similar cargo is to be received from trucks, stored temporarily, formed in shipload lots and loaded on board ship. The terminal is a complex of constructions, situated on a specially allotted territory and water area, designed for handling of ships, carrying out transportation of cars, wheeled and general cargoes (including forest industry machinery).